Hard Disk Drive (HDD) is the vital storage component of your computer. A healthy and well-managed hard drive ensures an enhanced system performance and adaptable storage capacity. As soon as the wizard finishes, a new partition drive will pop up in your Computer directory allowing you to store files in it. You can create as many partitions as you want, depending upon the size of your Hard Disk Drive. A hard drive stores new information on the built-in platters or disks. As these platters rotate, the data is written on them at a new location. Although, removing or erasing the previous files free up the space, these spaces are not filled up by the new data, until of exact size. As a result, the hard drive encompasses many free sectors of storage between the occupied sectors, thus creating fragments. While the hard drive is fragmented, its performance relatively lessens as it takes time to retrieve the data over an uneven data surface. To retain and sustain the productivity of a hard drive, it is generally suggested to defragment the partitions, if fragmented. 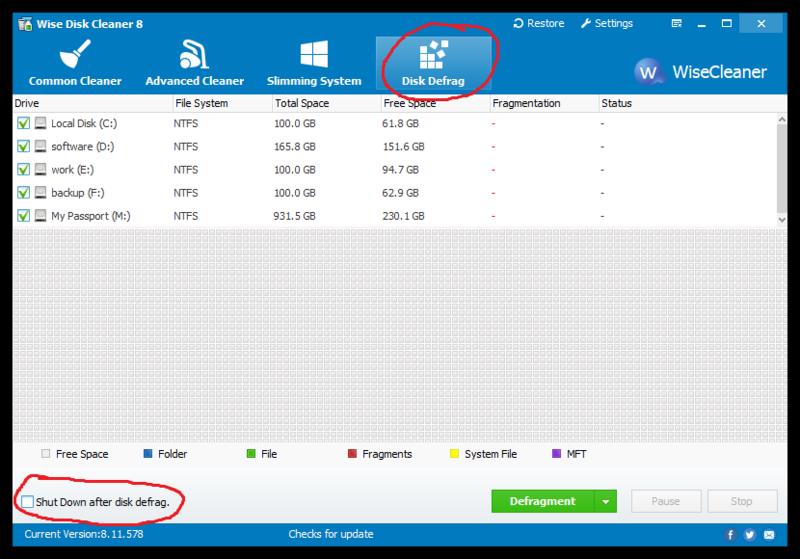 A third party defragment tool like Wise Disk Cleaner is a good option, it is faster than the one built in Windows. Better yet, if this is the first time you use Wise Disk Cleaner, it may take a little longer, you can set ‘Shut down after disk defrag’ instead of wait for it to finish. Cleaning here, does not mean to scrub the hardware physically with some laxative tool, but through the removal of temporary or unnecessary files and data. There are a number of archives, which store temporary information to assist you with quick browsing. However, these archives can result in a sluggish performance, if not cleared occasionally. 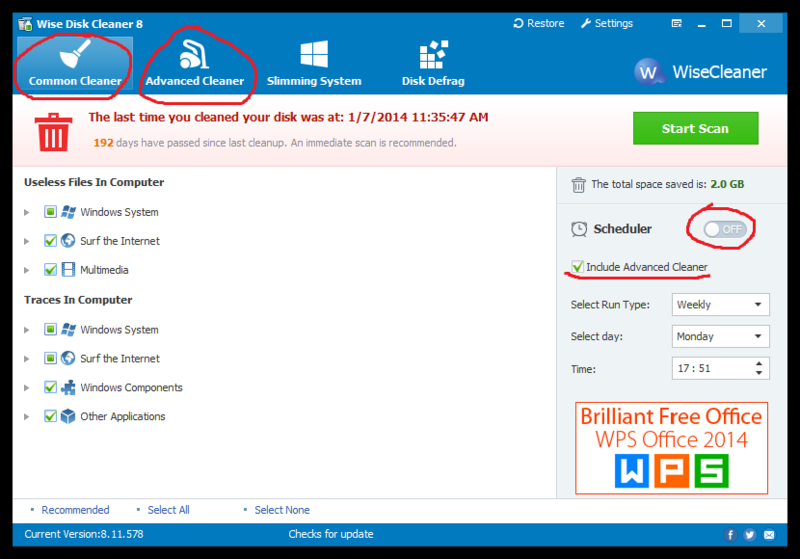 There is a very simple solution for this, Run the Common Cleaner and Advanced cleaner in Wise Disk Cleaner, of course you can schedule these two kinds of disk cleaning according to your need. When the schedule task is set, it will automatically run these two features in the background when the time is up and then close itself when the cleaning is done.